New England is world-famous for its gorgeous waterfronts and beaches, whether they are on the ocean or at beautiful inland lakes like Lake Champlain in Vermont or Lake Winnipeusakee in New Hampshire. A stay or getaway at a waterfront or beachfront lodging -- be it a resort, hotel, motel, or inn -- offers a delightful and restful vacation in beautiful surroundings. Come and jump in at Narragansett or Newport, Rhode Island; the rocky coast of Maine; Cape Cod in Massachusetts; or along Long Island Sound in Connecticut. The water’s fine! The Sea Cliff House offers you a tranquil oceanfront vacation on one of the most beautiful stretches of beach you'll find anywhere. Here on the southern end of the beach, near Ocean Park, you can walk onto a quiet stretch of sand, or to the Pier, amusements, and fine dining and shopping in the downtown area. Our lodgings offer a choice of clean, comfortable apartments or motel units. This is a beautiful, quiet oceanfront location with a heated pool, great views and a friendly atmosphere. Your choices of accommodations include some with fully equipped kitchenettes as well as some with Jacuzzi rooms with ocean views. The Winnetu Oceanside Resort is the only property located at South Beach, Edgartown on Martha’s Vineyard and offers spectacular ocean views. Enjoy our private path to the beach and ocean-view dining at our on-site restaurant – The Dunes – which features New England coastal cuisine and an Outdoor Terrace with glowing fire pits. 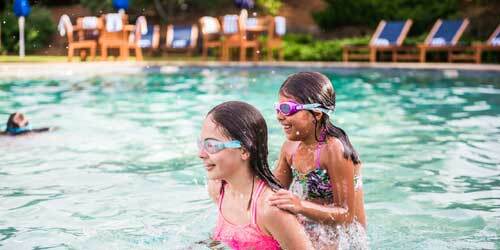 Experience our new heated pools and hot tub; Children’s Programs, shuttles to Edgartown, tennis, yoga, fitness center, Concierge Services, antique fire truck rides; and more. Book one of studios; 1-4 bedroom suites; cottages; or 3-5 bedroom private home rentals. Recently awarded US News & World Report’s “Best Hotel on Martha’s Vineyard.” Take our Two-Island Adventure Trip: Stay at the Winnetu and our sister Resort on Nantucket, The Nantucket Hotel, and we’ll transport you door-to-door between the islands and our Resorts. 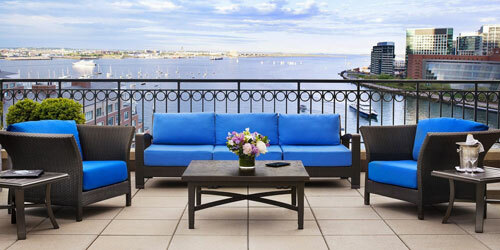 Boston waterfront accommodations - Beyond compare. A member of Preferred Hotel Group, Boston’s only Forbes Five-Star waterfront hotel welcomes guests arriving by land or sea. Located on the historic Rowes Wharf Harbor, the Boston Harbor Hotel’s inviting ambiance and unparalleled service provide the ideal home away from home for travelers. Luxurious accommodations with sweeping views of Boston’s cityscape or breathtaking waterfront, a contemporary spa and fitness center, world-class dining and a 34-slip marina make the Boston Harbor Hotel a destination Beyond compare. Rekindle past vacation memories or make new ones at the Anchorage Inn, right on the water at Long Sands Beach, two miles of beach perfect for swimming and exploring creature-filled tide pools. Directly across from the famous Nubble Lighthouse, the inn’s four buildings contain 202 rooms and suites, all with access to indoor and outdoor pools and many with great ocean views as well as other amenities from private balconies to fireplaces and Jacuzzi tubs. Dine on the water at the Sun and Surf Restaurant or in the poolside cafe. Explore the area with its amusement parks, arcades, Cliff Walk, boat tours, restaurants, shops, wildlife reserves, great hikes and just plan vacation-time fun. Lovers of the sea have been coming here since 1897 to smell the salt air, watch the gulls, and listen to the waves lapping up against the rocky shoreline. Astride the sea and set amidst elm trees and the homes of 19th century whaling captains, sits this majestic Victorian Inn. 31 classic rooms feature private baths, air conditioning and hardwood floors, and some with private decks and unobstructed views of the ocean. 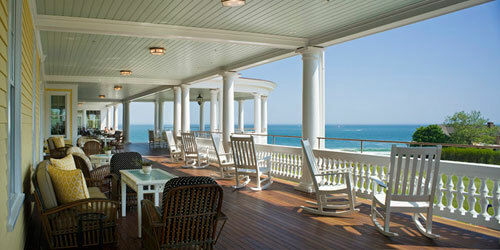 The sprawling veranda has rocking chairs for gazing across the water to Newport and Jamestown. With endless coastline to explore you can enjoy beachcombing, shell collecting, kayaking and sailing. On land there’s biking and golf, antiquing and boutiques to browse in this charming sunlit village by the sea. 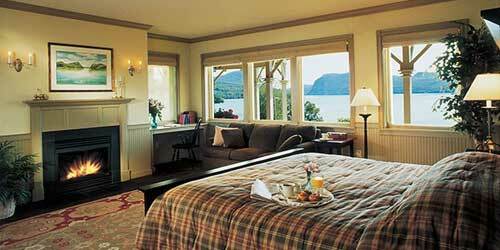 Relax in this dramatic ocean setting with views of spruce clad islands and the rugged rocky Maine coastline. Classic white clapboard cottages, traditional rooms in the Oceanfront Inn, and family friendly guestrooms with modern décor in the Farmhouse feature picture windows, porches, and balconies to enjoy magnificent ocean sunsets. Amenities include free hot buffet breakfast and resort wide WiFi, private bath, flat screen cable TV, mini refrigerator and AC. Cottages and suites also offer a microwave, fridge and coffee maker. Enjoy the hot tub and the area’s largest and heated oceanfront pool, and breakfast and dinner daily with delicious American and continental cuisine in the onsite restaurant with spectacular ocean views. Nearby, scenic and exciting land and sea activities abound. The sea around you is made up of several different bodies of water. Each holds its own history and natural beauty and each is at your beck and call. Nearby lay sandy beaches on the Atlantic and Nantucket Sound. Great Salt Pond behind you. An indoor and outdoor pool is a step away. Enjoy some dry land activities like Bocce, shuffleboard and tennis. Relax in studios and one or two air-conditioned bedroom suites all with private decks, facilities for cooking, TV with VCR and whirlpool spa. The rest of Cape Cod and the Islands lie just outside your door and are a short drive or ferry ride away. 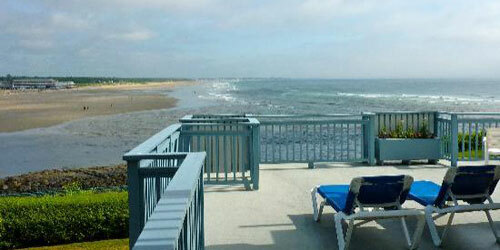 Open year round, InnSeason Resorts Surfside is fully wheelchair accessible. No charge for the majestic views that go on forever. 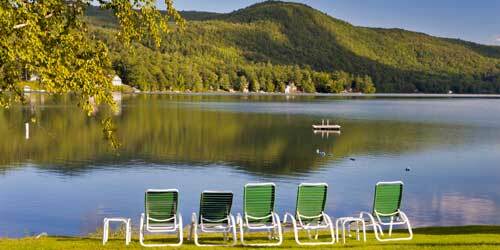 Nature blessed New Hampshire converges in a stunning landscape of lake, mountains and forest. For more than 100 years this waterfront lodging has offered majestic scenery, magical vacations, special occasions and thousands of memories for couples, families, and groups. Purity Lake has etched shorelines and sandy beaches from which to swim and water ski and explore hidden coves, bogs and heaths by canoe or kayak. The hills beckon hikers, mountain bikers and skiers and nearby north Conway is for shoppers. Choose from fifty-two rooms in four different settings with seasonal rate options that include lodging, home style meals, recreation programs and use of resort facilities. The waterfront is alive with the sounds of nature. And the mountains provide perfect harmony. 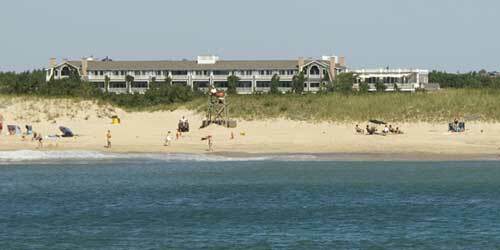 Lafayette’s Oceanfront Resort at Wells Beach is directly on one of the largest sandy beaches in Maine. Walk from your room onto the sand to swim, stroll in the surf, look for shells, or just relax and enjoy the view. 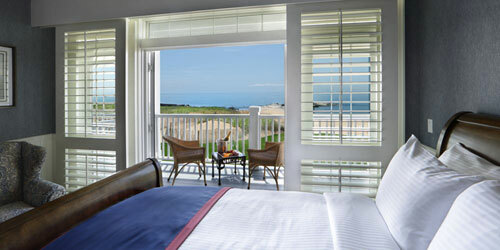 Many of our rooms have private balconies with panoramic views of the ocean. Our large indoor heated pool is great for year round swimming and includes a large deck and a hot tub with a waterfall. 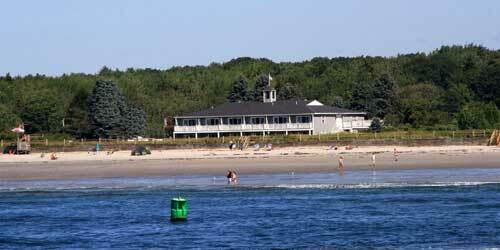 Wells Beach is in the heart of the southern Maine coast. There are many natural, historic and family attractions nearby, including golf, restaurants, museums, deep-sea fishing and whale watching. There are fifty antique shops in Wells, offering an exciting experience. It is time to come to Wells Beach to make memories that last a lifetime and to relax for a while. We are open all year. 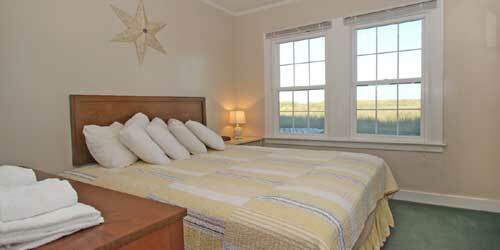 Be on the water for your next vacation or getaway at this charming oceanfront resort. A warm and inviting atmosphere, newly refurbished rooms and bathrooms and the perfect beachside amenities all await your visit. You’ll enjoy king, queen or double beds and flat screen cable television, refrigerator, microwave, and free Wi-Fi. You’re on seven miles of sandy beach near Misquamicut State Beach and within easy reach of Block Island, Watch Hill and Mystic, Connecticut with their shops, restaurants, and popular attractions. Also nearby are golf, theater, kids amusements, farms, wineries, and casinos. Enjoy fresh local seafood and traditional American fare at the full service waterfront restaurant The Kitchen, open for breakfast, lunch and dinner. Enjoy impeccable service from the third generation of the family to operate this luxury resort aside the sand beaches and sheltered coves of the Maine coast -- one of the most beloved seaside settings on Earth. A sweep of lawn leads to the beach, where you can loll on the sand, and even phone the resort’s Blue Bistro restaurant for a lunch delivered to your chair. The resort has two main buildings of motel rooms and suites, and four detached houses including the delightful Victorian Inn. 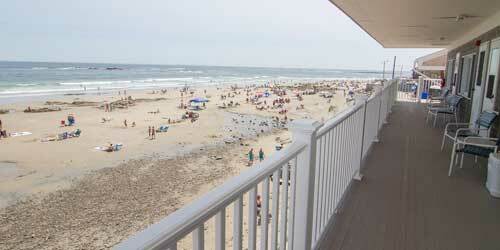 The resort is peaceful, but also an easy walk from the fun summer bustle of Ogunquit. Or, you can step off the property and onto the famous Marginal Way, for a sinuous walk to Perkins Cove. Amenities include spa services, hot tubs, a seaside pub, free Wi-Fi, and daily continental breakfast. When they say at Lopstick that you are lodging at water’s edge, they are not exaggerating. Many of the resort’s 55 cabins and cottages are by the water, whether it’s a stream right outside your door, a private pond or a cabin with a private boat dock. Many of the cabins and cottages, which range from efficiencies to multi-family, have lake views from your deck or porch or living area. You don’t have to go far at Lopstick to find fabulous fishing (fly-fishing or from your boat, canoe or shore) or to enjoy quiet canoeing, kayaking or just drifting along in your rowboat. Rent a craft at Lopstick or bring your own. Special fishing packages are available. 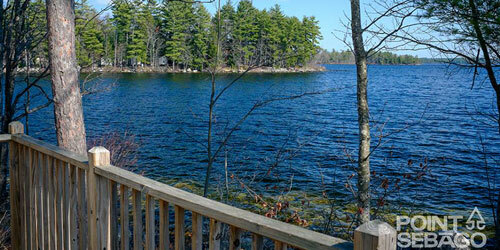 Looking for waterfront lodging in Maine? Sebasco Harbor Resort is the place. The Main Lodge features a large screened front porch with rocking chairs, where you can watch activities on the Village Green. As evening approaches, move inside to our lobby, where you'll find a crackling fireplace, or head to our card room for a game of hearts. Guest rooms feature flat screen TVs, pillow-top mattresses, and full baths. In the Lighthouse, built in 1945, rooms feature spectacular ocean views. In our air-conditioned Harbor Village Suites, balconies and patios offer stunning water views and overlook our lush perennial gardens. 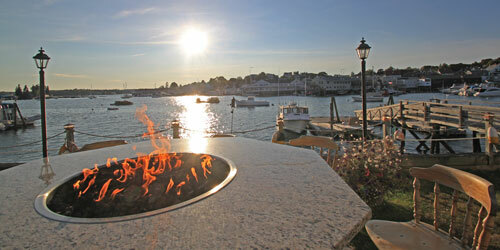 Our Fairwinds Spa Suites offer fireplaces and views of Harbor Island into Casco Bay. We also have more than 20 cottages, many with fireplaces or ocean-view decks. 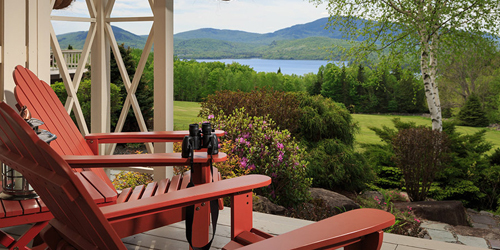 Romance in the north woods is a personal experience for visitors to this ultra-private, four-season setting on Moosehead Lake where unspoiled, panoramic vistas only change with the seasons. Nine individually decorated rooms reflect the natural surroundings and provide rustic and sophisticated touches in every detail from hand carved beds to terry lined robes and pillow top mattresses; from cable TV and gas fireplaces to Jacuzzi-style bathtubs. Two great rooms offer a full bar, HD TV, reading and move libraries, and an outdoor patio and fire pit. Up North cuisine is hot, hearty and filling with unforgettable breakfasts and sumptuous weekend dinners served at your own private table in the Lakeview Dining Room. Add adventure to your romance with a professionally guided Moose safari where it all began. All around you is the waterfront. The views of the harbor and the famous Boothbay footbridge are spectacular here along the rocky coast of Maine. Savor them from any vantage - your room, the dining room and pub, or while enjoying the fresh air out on the deck. You’ll find 54 guest rooms -- including six two-room suites – with private balconies, free WiFi, cable TV, fitness room, and complimentary breakfast plus lunch or dinner in the dining room run by the 2014/2015 Maine Lobster Chef of the year. 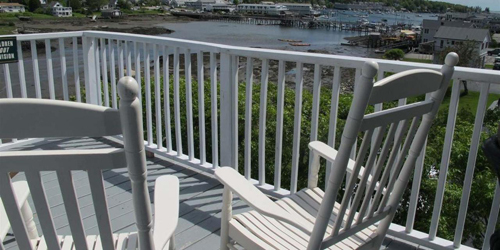 You’re within walking distance of great restaurants, quaint shops, and galleries, and a short drive to the Maine State Aquarium, the historic Boothbay Opera House, and the Coastal Maine Botanical Gardens. This grand waterfront lodging and vacation paradise features 130 guest rooms and suites with stunning views of the lake and some with balconies. Our fully furnished Lakeside Cottages can be rented weekly with 1 to 5 bedrooms, kitchen, dining area and living room, washer and dryer, satellite TV, and each its own private beach and dock. Year round waterfront activities include swimming, boating, skating and pond hockey. Organized guest activities and a full array of seasonal recreational amenities are yours to experience. Enjoy 18 holes on the championship golf course, fine dining, and evening entertainment or simply sit and catch the call of the loon. Picturesque Lake Morey Resort is the perfect waterfront setting for weddings, conferences, family reunions and getaway vacations. 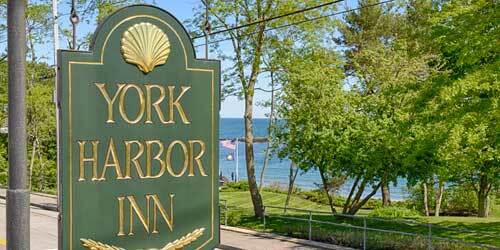 Each season of the year is special at the Harbour Towne Inn on the Waterfront. With its waterfront location in pretty-as-a-picture Boothbay Harbor, the inn is an ideal place to relax or explore all coastal Maine has to offer, from sunset lighthouse cruises to great antiquing and fine dining. Enjoy the inn’s scrumptious homemade breakfast buffet, then take a two-minute walk down a tree-lined street to get to one of the region’s loveliest coastal towns, with its boutiques, galleries and shops. Or pull up a chair to the inn’s fireplace and finally finish that book. 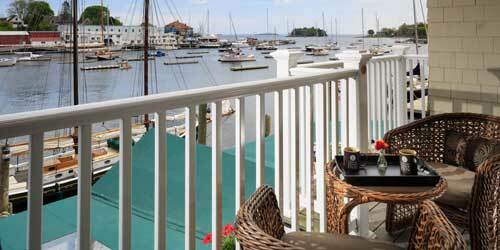 Or simply enjoy the harbor view from the deck of your comfortably appointed room. It’s Down East hospitality at its best. 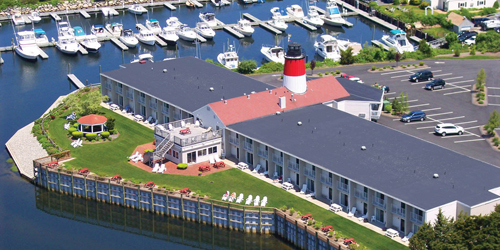 From the comfort of the lovingly refurbished Inn at Scituate Harbor, enjoy all that a harborside location has to offer, from the water views of each of our 29 guest rooms and harbor suite, to fresh seafood at local restaurants and pubs, to access with an inn pass to Scituate’s five ocean beaches. Nearby attractions include famous lighthouses and seaside nature walks. Stroll among the downtown shops, splurge with a day at a nearby spa, play a round of golf at THE famous Widow’s Walk course, take a canoe out onto the North River or just kick back and enjoy a beverage from our patio while sailboats move against the horizon, fishermen unload their daily catch at the pier, and the sun sets over the ocean. 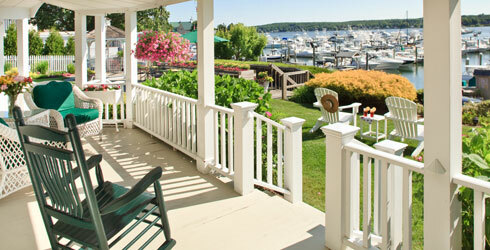 The scenic coast of Maine and a famed New England village provide the backdrop for this idyllic waterfront lodging. There are breathtaking views of the sea from every room and suite bathed in casual elegance and modern comforts in two unique settings. The Carriage House features air conditioning, Jacuzzi, four-poster beds, and gas-burning stoves. The Portside Lodge offers living rooms, a private balcony or patio. Two restaurants and an intimate pub serve Maine’s unique flavors from the land and sea. Walk along Parson’s Way, shop at Dock Square or take part in waterfront yoga, guided kayak excursions, sailing, deep sea fishing and whale watching. Or just sit by the sea and let the ocean breeze and salt air do their work. Nonantum is open seasonally, mid-April to mid-December. You can’t get much closer to the water than Seawinds II in bustling Dennisport, where your one- or two-bedroom vacation condominium unit puts you mere steps from a 120-foot stretch of private sandy beach. Plunk your chair and umbrella down and let the kids romp in the bay, or watch the sunset while finally catching up on that reading. Units come with kitchens, dining tables, gas fireplaces and plenty of room to relax. Guests have access to a nearby sister resort’s indoor and outdoor pools and fitness center. The resort is a quick drive to island ferries and whale watches, harbor and seal cruises, the National Seashore, nature preserves, bike trails, nightlife and eclectic shopping. 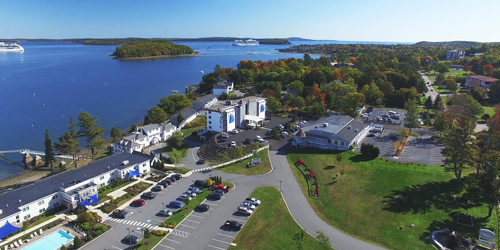 Nestled in nicely between breathtaking Acadia National Park on one side and the Atlantic Ocean on the other, the Atlantic Oceanside Hotel offers guests both fabulous views and easy access to water sports and activities. 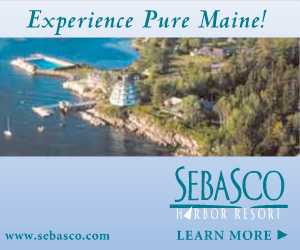 The main hotel is a mere 100 feet from the water’s edge, with its 43 rooms overlooking gorgeous Frenchman Bay. The rooms in the Portside and Oceanside buildings are even closer – 25 feet from shore, with sparkling views of the bay from balconies and patios. Enjoy a private pebble beach, take a nature boat cruise right from the pier or go via shuttle to Acadia or lovely Bar Harbor. Nearby activities range from kayaking, biking and sailing to cross-country skiing, snowshoeing and snowmobiling. You’re surrounded by water and on the largest island in the lake. Attean Lodge waterfront activity includes sand beaches, miles of shore line to explore, hiking on the resort’s 20 miles of trails, birding, wildlife photography, and fishing. There’s also whitewater rafting on the Kennebec River, golf, bountiful day trips, and paddling the peaceful Moose River to spot the resident population walking their natural habitat. Unspoiled natural resources and wildlife complement that charming and private 1-3 bedroom cottages that sleep up to eight and feature full bath, private porches, and wood burning fireplaces. Established in the late 1800’s, the founders’ heirs still run the place with impeccable service, fine food and comfortable accommodations. The atmosphere is waterfront scenic and relaxed. The Inn at Mystic is perched at the highest point in Mystic on a sprawling hillside estate with views of the Mystic Harbor. 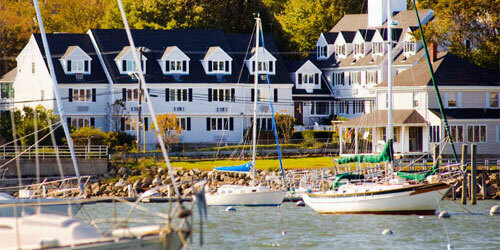 Enjoy cozy New England charm with stunning water views you won’t find anywhere else in town. Many guest rooms offer wood-burning fireplaces, Jacuzzi tubs and private balconies. There are plenty of onsite recreational amenities available including a tennis court, swimming pool, basketball courts, seasonal kayaking and more. Waterfront dining is available at Harbour House Restaurant & Bar. Enjoy fresh seafood, wood-fired flatbreads and other seasonal specialties. 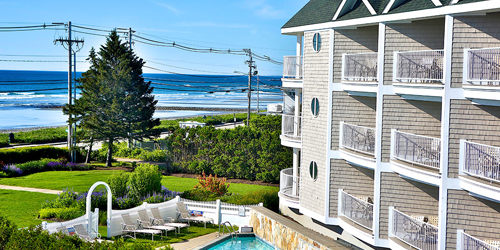 Ogunquit’s well-loved, three-mile stretch or pristine beach is just a step from your room at the classic New England waterfront resort. The Norseman Resort’s facilities and service are firmly based on five decades of care for guests. When you leave your comfortable room, you have the choice of enjoying the outdoor heated swimming pool, tennis court, sauna, and exercise room. Guests in the Tidal Suites can luxuriate in a living room with a gas fireplace and wet bar, a large bathroom with oversized shower, a king bed facing the Ogunquit River, and a private deck overlooking the river. Other accommodations offer sleep sofas, queen beds and stunning views of the ocean and the famed Marginal Way, which beckons you for a walk with gorgeous views. 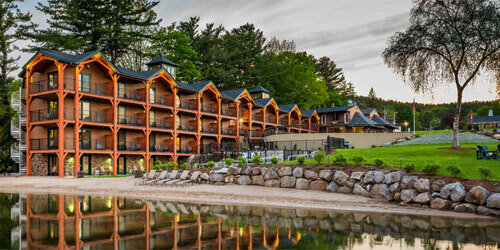 There is nothing on New Hampshire’s Lake Winnipesaukee like The NASWA Resort. Offering beachfront rooms and cozy lakeside cottages, just steps to the largest, private sandy beach on the lake. Composed of suites, cottages and hotel rooms. Houseguests receive complimentary overnight dock space and kids stay and eat free! Dine with a lake view at Blue Bistro for a hearty breakfast and an exquisite dinners or embrace the lake life at the NazBar & Grill which lives on the shores of Lake Winnipesaukee. Dip your toes into the lake, grab a bite to eat, enjoy a tropical drink and let yourself be transported into paradise! Up for adventure? Grab one of our complimentary kayaks, paddleboards or paddleboats and explore the lake! Centrally located, close to area attractions and just a short drive to the White Mountains! 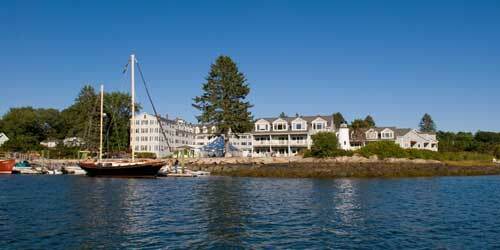 The gracious waterfront lodging found at Spruce Point Inn in Boothbay Harbor is like nothing else in Maine. That's why we're such an ideal getaway or vacation spot for both couples and families. We offer accommodations of every size -- rooms in our quaint historic inn, cottages, townhouses, and modern lodge rooms. There's something for everyone. Each option offers a view of the ocean, the harbor, nearby woodlands, or our gardens. All our accommodations offer balconies or porches with rocking chairs or Adirondacks, luxurious bath amenities, bath robes, plush-top beds with triple sheeting, 40 inch flat screen TVs, complimentary wireless internet, bell service, refrigerators, Poland Spring water, upscale coastal cottage furnishings, historic photography and artwork by renowned local artists. 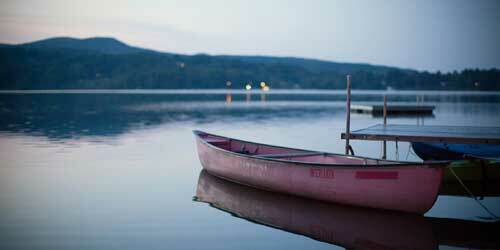 Tripp Lake is the setting for year-round comfort and activity in Maine’s Lake Region. 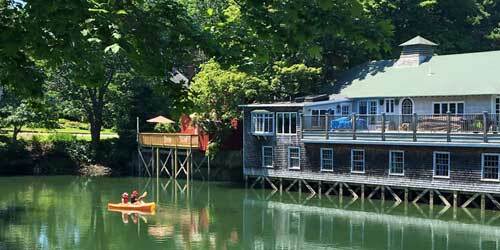 This newly renovated B&B offers fresh air, lush gardens, and a majestic pine grove along the shorefront plus access to a private beach and dock and the use of canoes, kayaks and rowboat. 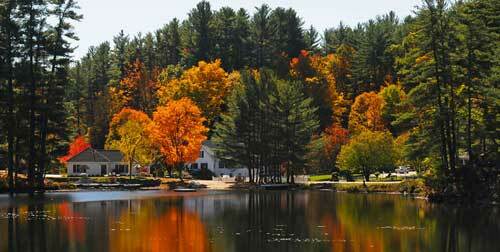 Here is your home port for hiking, skiing, snowshoeing, sleigh rides, and fall foliage. Unique themed guestrooms, suites and a new luxury cabin showcase the best of Maine in decorative touches and amenities like a flat screen TV, free Wi-Fi, and a common kitchen area. The farm to table gourmet breakfast has sweet and savory entrees and an endless array of muffins, fruits, juices and coffee. Book a room and bring your pet. 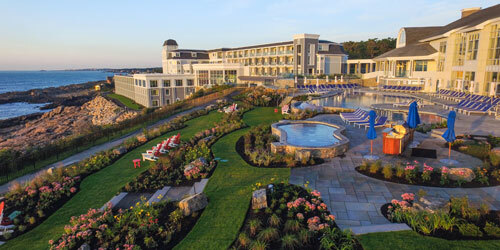 Located on the shore of Cape Cod Bay in Brewster, MA, Ocean Edge Resort & Golf Club offers stunning natural beauty and spectacular amenities, and was named “Best Resort Cape Cod” by Boston magazine’s 2017 Best of Boston Awards. The Mansion at Ocean Edge offers exclusive access to the Resort’s private beach, and consists of 90 Mansion luxury guestrooms as well two and three-bedroom Presidential Bay Collection villas featuring a private concierge. Guests will enjoy the new Beach House Spa, an 18-hole Nicklaus Design golf course, The Beach Bar, three outdoor pools, two indoor pools, nine tennis courts, three restaurants, bike rentals, kayak & stand-up paddleboard rentals, complimentary wi-fi, and beach chair and towel service. The Atlantic is all around you at Cliff House, where every stylish room features an ocean or coastal view, and even the restaurants and Spa pay homage to the sea. If enjoying locally-roasted coffee on your room’s private terrace, or s’mores by the ocean-view fire pit isn’t enough, let the resort’s Recreation Team help you plan a kayaking, fishing, lobstering, or surfing adventure. 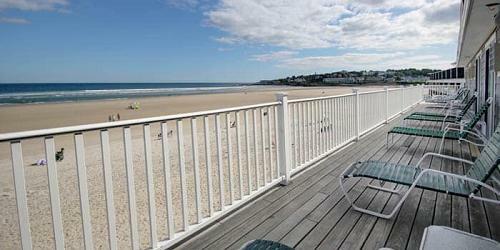 Enjoy the local beaches of York and Ogunquit, Maine, or one of the three pools and hot tubs located at Cliff House. On a landlubber day, stroll amongst the quaint shops, galleries, and museums of the neighboring villages of Perkins Cove or downtown Ogunquit. Return to the resort for a farm-and-fisherman-to-table-inspired dinner at The Tiller, or a brown butter lobster roll at seasonal Nubb’s Lobster Shack. 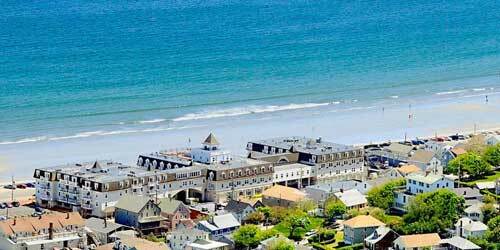 We are just 3/4 mile from beautiful Wells Beach, Maine midway between popular Ogunquit and Kennebunkport. Whale watching, lobster tours, fishing trips and shopping in the numerous antique shops, art galleries and unique boutiques are all nearby. Enjoy spacious, air conditioned one or two bedroom suites with a full kitchen, dining area and scenic views of the marshlands and ocean beyond. Resort Amenities include indoor pool, hot tub, sauna, pool deck, exercise room, outdoor playground, grills, picnic tables, free WiFi and an on site restaurant. We are on the trolley route. Please view our current Internet Specials on the “Internet Specials” section of our web site. 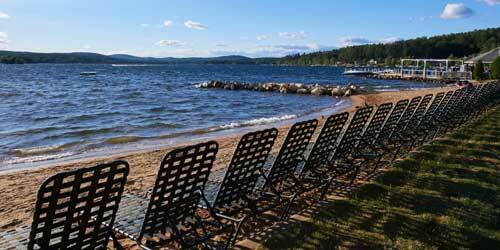 Perched along 200 feet of private, sandy beach on the northwest shores of Lake Winnipesaukee is this nature blessed upscale waterfront lodging. Set in the quintessential lake town of Center Harbor with unique dining, shopping and recreation options, you’re nearby Weirs Beach, Mt. 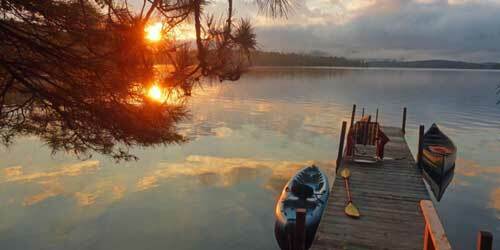 Washington, and the natural beauty of New Hampshire’s Lakes Region. Guest quarters feature rustic charm and modern design with floor to ceiling hickory headboards, fully tiled modern bathrooms plus private decks or patios overlooking the lake and mountains. Boutique amenities include a fitness center, a 4-season outdoor hot tub, dock slip rentals, access to paddle boards and kayaks, grills and a fire pit. 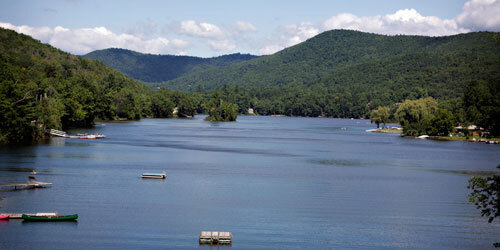 And Lake Winnipesaukee is the destination for great fishing in any season. The historic waterfront of Falmouth Harbor provides sights, sounds and scintillating Cape Cod fun and flavor. Overlooking the harbor is this popular lodging offering spacious hotel rooms, renovated suites with a sitting area, and two-room suites with the option of adjoining to a second bedroom. All feature a refrigerator and microwave and some have kitchenettes and an outdoor tanning deck for getting your daily dose of Vitamin D. Hit one of the beautiful beaches or sit by the pool and watch the boats go by. Then check out the delicious dining downtown, take a ferry trip to the Islands, or climb aboard a charter fishing excursion. The luxurious yachts, shops and activities of this historic seaside village are always within easy reach and gaze. Escape to the Cape in summer or the quiet season when peace and romance can be found in abundance. Both this resort and its sister ship docked at Surfside (and features an indoor pool) offer studios and spacious one and two bedroom oceanfront suites luxuriously appointed with in-room whirlpool tubs and fireplaces in every master bedroom, with deck or balcony. You’ll also find living rooms and efficiency kitchens with dishware and cooking utensils. Located just minutes away from downtown Falmouth and across the street from Falmouth Heights Beach on Vineyard Sound, you’ll feel a world away from home. Discover the best of the Cape in quaint shops, intriguing galleries, warming taverns, fireside dinners, year round theater and the many other pleasures that await your visit that you won’t soon forget. Set in a lively seaside district amid galleries, fine restaurants and boutiques, 16 Bay View, Camden’s newest 21-room luxury hotel, pays homage to its town’s sea-faring history while also embracing modern amenities. From your ocean-view suite, complete with gas fireplace, luxury bedding and ornamental iron balcony, and perhaps some exposed brick from the original 100-year-old building, you can look out over Camden’s scenic harbor, which is only steps away. In season, head up to “The View,” the hotel’s rooftop terrace, with its sweeping cinematic views. Enjoy a signature cocktail by the fire table. A complimentary continental breakfast buffet, unparalleled service and free access to the nearby YMCA’s fitness center and pool are also part of the 16 Bay View experience. 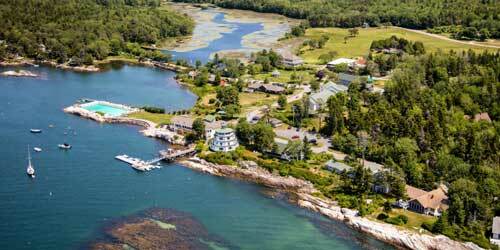 When planning a trip to the Maine coast, you can't go wrong with the Boothbay Harbor Inn. We're directly on the waterfront in beautiful Boothbay Harbor. Our restaurant and most rooms offer picturesque harbor views. You'll be able to watch boats sail by while you dine. Most rooms have a balcony or patio that overlooks the water. You can stroll about the waterfront and explore the harbor's shops and galleries. Just a short walk takes you across Boothbay Harbor's famous wooden footbridge. Each of our spacious rooms is equipped with a Keurig coffee maker, cable TV, a refrigerator and a microwave. Complimentary buffet breakfast is included. Relax on the lawn beside our waterfront fire pit, or chill out in our sitting room, where you can read a book, play cards or use our lobby computer. 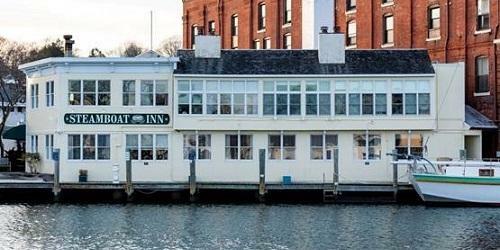 Welcome to your waterfront destination, the Tugboat Inn! We offer sixty-four deluxe guestrooms and suites, with modern amenities and views of the working waterfront. Most have a deck or balcony (some private) and most rooms face (or are over) the water. We are located close to the village center, and a short walk will take you to a wide variety of shops, galleries, restaurants and boating activities. 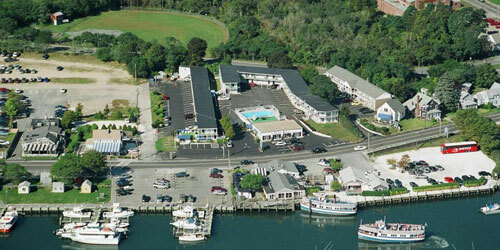 The Tugboat Marina offers boaters safe and sheltered dockage for long and short term stays. We have both slips and moorings available, and we host both seasonal and transient boaters. 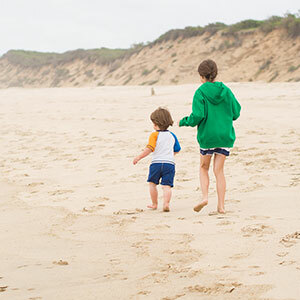 Thinking of getting away to Martha’s Vineyard or Nantucket? Why not start at the Hyannis Holiday Motel, a stone’s throw away from ferry terminals to both islands. But why wait for the ferry ride for an ocean view? The motel is across the street from busy Hyannis Harbor, where you can stroll past artist shanties, get a fresh lobster roll while watching the fishing boats come in or take a harbor cruise. 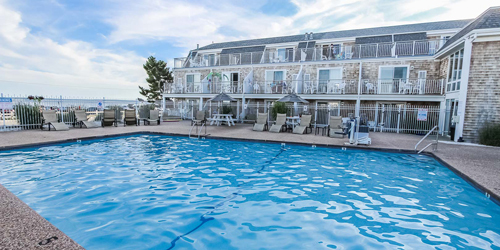 The 72-room motel also has two pools: an indoor heated one and, outdoors, one with a harborview sundeck. 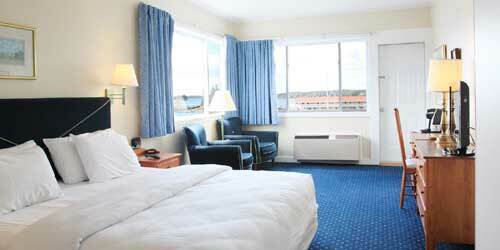 You can also see the harbor from some of the comfortable rooms. Start your day with coffee and pastries. For a change of scene, walk a few minutes to Main Street, for great shopping and dining. 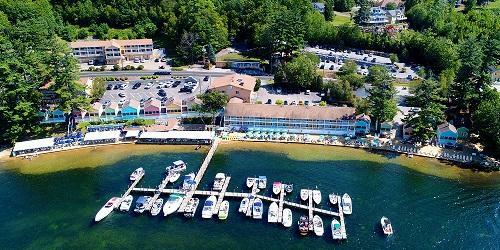 Explore Paugus Bay by kayak, canoe or paddleboard when staying at this family friendly lodging on Lake Winnipesaukee. Great waterfront amenities include 400 feet of private sandy beach, indoor and outdoor pools, fitness center and spa providing the latest equipment and personalized body care treatments. Select from several beautifully decorated rooms with spectacular lake views, quick access to the beach, or larger family friendly rooms offering the lowest rates. All have flat screen TVs, mini-fridges, free Wi-Fi. Complimentary continental breakfast is served every morning and lunch, dinner, and entertainment await at the lakeside Gazebo Beach Bar. The Margate is a favorite vacation destination just minutes away from great golf, hiking, tax free shopping, and the very best tourist attractions. 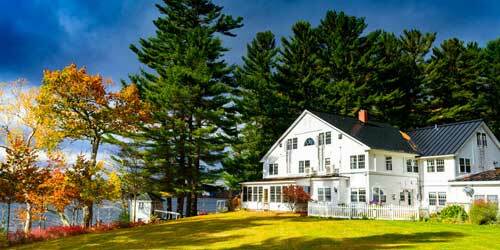 Mill Falls at the Lake is New England’s premiere, lakefront resort in the quaint village of Meredith, NH. Fourteen acres and over 1,100 feet of lakefront access is home to four Inns, seven restaurants, 12 shops in the historic Marketplace, the Cascade Spa, and the EKAL Lake Activity Center, all nestled on Lake Winnipesaukee. In addition, Meredith boasts a vibrant Main Street Community with several more shops and eateries adjacent to Mill Falls. 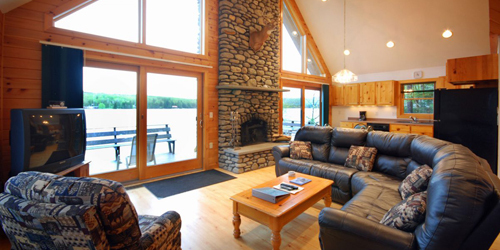 While the lake draws guests in, the warm decor and inviting staff keep them coming back. Whether vacationing by the sea means you stay on your boat or in a cottage, loft or inn, Nantucket Island Resorts has the perfect accommodation for you. 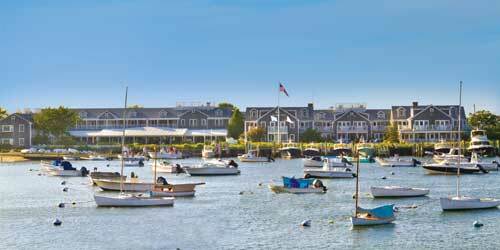 The full-service Nantucket Boat Basin marina in historic Nantucket Harbor is a premiere luxury destination for sailors and boaters, steps away from the town’s restaurants, museums, boutiques and galleries. The Basin’s cottages and lofts feature stunning harbor views. Also edging the harbor is the White Elephant Hotel and Village, featuring a world-class spa and outdoor heated pool. 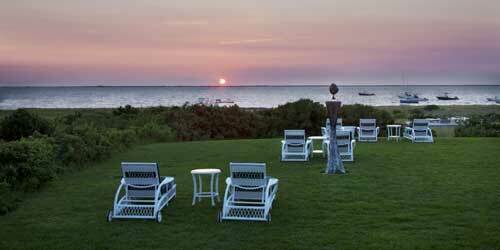 The nearby Wauwinet is the only hotel on Nantucket with access to both the Atlantic Ocean and Nantucket Bay. 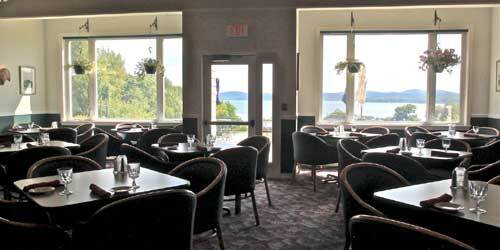 Dining at the Wauwinet and White Elephant also has a seaside flair, in cuisine and unforgettable views. Right on the edge of Nantucket Harbor, the iconic White Elephant hotel has taken its graceful place on the island’s waterfront for almost a century. Today, guests in its 66 rooms and suites, many with water views, and home-away-from-home garden cottages can awaken to the sights and sounds of the sea. Watch sailboats flow in and out of the harbor from the spacious, flower-edged lawn, or from white rockers on the lovely terrace, or from your own patio or deck. Enjoy fruits of the sea at the Brant Point Grill. Let a concierge help plan a fishing trip or sunset cruise. Relax at the heated outdoor pool, spa or beach. It’s everything you want in a seaside resort. The only hotel on Nantucket with access to the harbor and the Atlantic Ocean, The Wauwinet honors the sea with everything from nautical-themed suites to lobstering expeditions launched from its docks to local seafood on the menu of its award-winning restaurant, Topper’s. With private beaches on the ocean and Nantucket Bay, the Wauwinet is ideal for swimming, paddleboarding, sailing, kayaking and fishing. And guests can make those arrangements beforehand via the pre-arrival concierge. If you are looking to relax in a luxurious suite with a bay view, enjoy a Nantucket sunset from a comfy lounge chair on the spacious lawn or explore the waterways on an eco-tour, this historic boutique hotel can do all that for you – and more. You cannot get closer to the water in historic downtown Mystic than the Steamboat Inn – unless you are actually on the water. And if you are, you can bring your boat right up to the inn, where dockside is literally right outside the door. 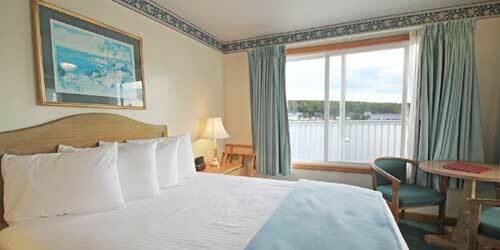 Windows in the inn’s 11 luxurious rooms, some of them panoramic, overlook the beautiful Mystic River. One room even has dock entrance directly wharfside – it’s like staying on a yacht. Guests can book a sail aboard the schooner Argia, which sails from Steamboat Wharf daily. They can also walk right outside the door into the heart of a seafaring village with a picturesque drawbridge, great restaurants and shops. 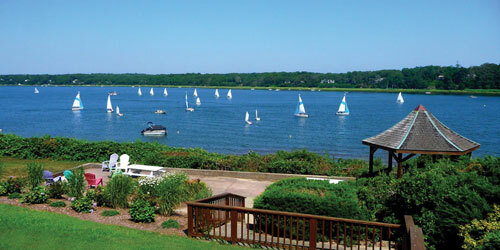 Nearby are historic Mystic Seaport and the Mystic Aquarium. History, scenery and a shimmering Echo Lake meet in this picture perfect setting in Vermont’s lake district. Take a row boat or canoe out on a sunlit afternoon. Fish on the nearby Black River. Or sit a spell on the front porch with your favorite book or beverage. This charming country inn is open year round and offers 23 rooms, some with private Jacuzzi and fireplace, a family suite, and 7 condos. Most rates include full breakfast. Relax in the hot tub or outdoor pool or play some tennis. You’re just 5 minutes from Okemo and there’s golf, skiing, sleigh rides, hiking, biking and horseback riding nearby. Across the street, a white steepled church reminds you you’re in New England. The only full service seaside hotel on Hampton Beach has been a popular destination for couples, families and business travelers for over one hundred years. With exceptional service and authentic New England charm, you’ll find tastefully appointed accommodations with flat screen TVs & complimentary wi-fi. There’s a fitness room, market, Indoor heated pool with a retractable roof, sun deck overlooking the Atlantic Ocean, three restaurants and the Sandbar Rooftop Outdoor Bar. You’ll find over 6,000 square feet of private function and meeting rooms for your next event or meeting. Year-round Hampton Beach is alive with fireworks, festivals and parades, whale watching, water sports, deep-sea fishing, golf, outlet shopping, concerts, and lots of colonial history. 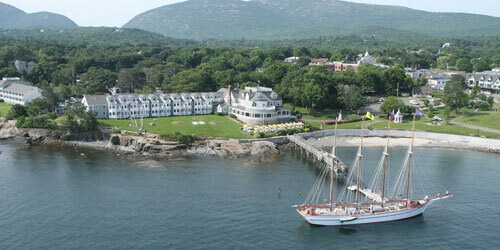 Luxurious pleasures and seaside tranquility await at this historic Inn on Maine’s south coast. Rooms and suites in the 19th-century mansion overlooking the Atlantic or in the woods enshrouded Club House offer a restful place to escape the summer crowds and easy access to all resort amenities. Enjoy a sumptuous breakfast, cocktails on the spacious front porch then a memorable evening meal at the water view Ocean restaurant. You’ll find a lap pool, a heated outdoor pool, lounge chairs, cabanas, and poolside dining and cocktail service is available. This private oasis also offers beach butler service, a putting green, shuffleboard, a bocce court, a billiard room with vintage appeal and the cozy Club House Lounge with its impressive stone fireplace. One of Ogunquit’s best kept secrets lies just across a tidal river from Ogunquit Beach with miles of soft white sand and hiking trails. This peaceful and secluded cottage resort offers stunning coastal scenery and hotel amenities ideal for families and couples. Classic whitewashed seaside cottages offer double-occupancy guest rooms to waterfront cottages that can sleep six and feature hardwood floors, screened porches, full baths, full kitchens, and have their own outdoor sitting area, Keurig coffee makers and full housekeeping service. There is a heated outdoor pool, games, and a dock for fishing and boating. Ogunquit has it all - shops, restaurants, museums and galleries and the famed Ogunquit Playhouse. And a trolley to take you to all of it. 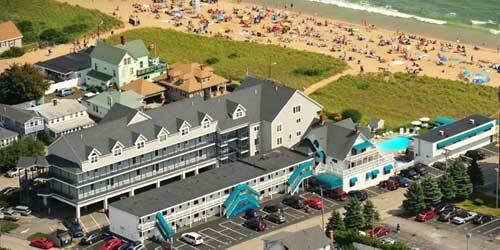 Waves Oceanfront Resort is located on Old Orchard Beach, Maine, with wonderful ocean views. Our resort boasts 139 air-conditioned rooms each with private deck, telephones, color cable TV, kitchenettes with refrigerator, stove and sink. 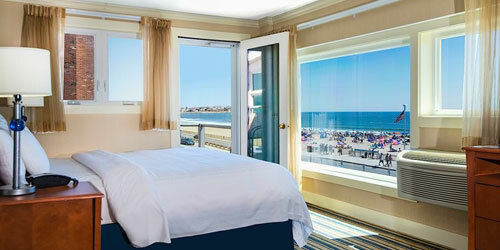 Many of our Oceanfront and Ocean view rooms have been completely renovated. All of our rooms are within 150 yards of the beach, making it a quick trip for your children to play in the sand on your next family vacation. Our four cottages are perfect for larger families or reunions, and we are only a short walk to the Pier, attractions, restaurants and shopping. 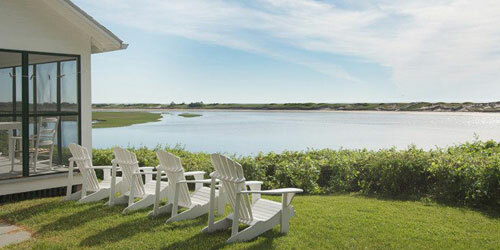 Set off the Atlantic on a serene wooded inlet, this Cape Cod waterfront lodging is that special vacation getaway. A private boating beach and a free ramp and dock are available for hotel guests. Pet friendly accommodations offer queens and double beds, a private bath, cable TV, in-room coffee, microwave and refrigerator and free high-speed Internet. All rooms are non-smoking and full kitchen units are also available. Vacation rentals include a three-bedroom cottage with fireplace and wide screen TV. A large heated outdoor pool and kiddie pool provide the cool while barbecue grills supply the heat. 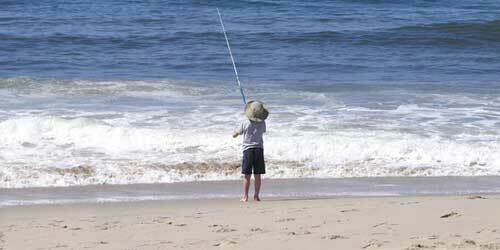 Outstanding golf courses, beaches, historic attractions and just the best Cape Cod fishing are all nearby. There’s whale watching and the Woods Hole Oceanographic Institute for some out of the box fun. 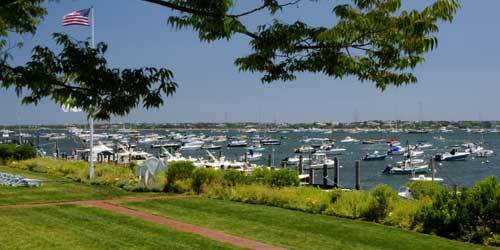 Every room at the Inn at Harbor Hill Marina offers views of Niantic's historic waterfront. And you can watch boats sail past in our dining rooms, where breakfast includes such tempting entrees at blueberry French toast cobbler. No wonder we've been listed by B&B.com as one of the country's top ten inns. We're also a Select Registry member. 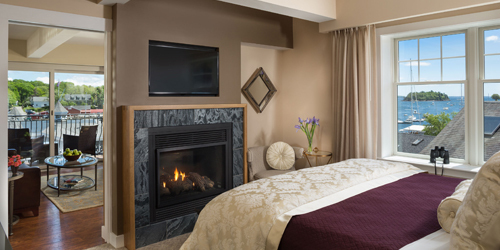 You'll find special amenities in many of our rooms, including king-size beds, fireplaces, and private balconies. And we're just a few minutes walk from Niantic's Main Street, with its great restaurants, boutiques, unique gift shops, and bookstores. And there are so many great things to do nearby. 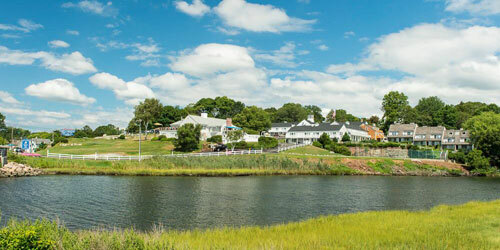 Visit Mystic Seaport or Mystic Aquarium, take a lighthouse cruise, or spend the day sailing or golfing. Since 1897, Rockywold-Deephaven Camps have offered families an ideal place to gather and soak in the quiet, simple pleasures of the New Hampshire wilderness. Spread over 115 acres, two peninsulas, and along over a mile of lakeshore, RDC offers a rustic simplicity, respect for the land and good old fashioned fun. 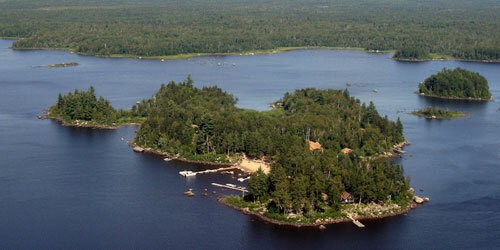 Our 60 cottages and two lodges are scattered among shorefront pines and granite outcroppings. Each has twin beds, a fireplace, a screened-in porch, private dock, and an antique ice box where ice is delivered daily. If small mouth bass fishing, rollicking square dances, heaping buffet-style meals, quiet afternoon card games, hikes in the White Mountains, canoeing, tennis and a really good book sound like your idea of vacation, welcome to RDC! If you think an inn by a lake is only fun in the summer, you need to visit the Willough Vale Inn & Cottages on gorgeous Lake Willoughby. It’s true, from your cozy lakeside or lakeview cottage or adorable inn room, you’ll love planning summer, spring and fall activities by the lake Robert Frost called a “fair, pretty sheet of water.” You might use the inn’s kayaks and canoes, go scuba-diving or just read a book in a comfy lounge chair. But winter activities on the lake are fun, too, including cross-country skiing and snowshoeing. Nearby, enjoy dog-sledding, snowmobiling, downhill skiing, skating – even ice-climbing. Or just chill out in your room by the fireplace – or in a double Jacuzzi! The Atlantic Ocean, Pigeon Cove, a heated outdoor swimming pool and a seaside terrace for meals brings the water front and center for your vacation, conference or special event. This lovely and lively historic resort features 36 guest rooms, two-bedroom suites, all with private baths, spa tubs, and private enclosed balconies. The ocean-views and amenities are inspiring. Dine in the Pigeon Cove Tavern, relax on the veranda, walk the beaches and shop-filled streets or take a treatment in the La Petite spa. Cape Ann’s only grand B&B provides the quality and service of yesterday with the modern touches of today. Now restored to its Emersonian best, one believes that even Ralph Waldo would have approved. 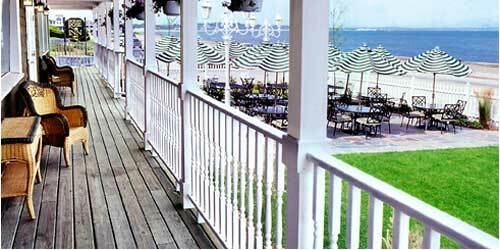 Reclining on Connecticut’s shore line, attendants provide fresh towels, food, and beverages direct to your beach chair at one of Connecticut’s great waterfront resorts. You may feast on breakfast, lunch and dinner inside or on the porch at The Wharf Restaurant or sip a cocktail at the bar. There are boats to charter, kayaks to paddle, paths to bike and historic sites all around but you can also just sit on the beach. Easily reachable from New York City or Boston, you’ll find resort-style amenities, a day spa and fitness center. Your room will have its own private balcony, your bedding and linens will be divine, and the refrigerators, coffeemakers, fireplaces and complimentary Wi-Fi are just, because. Savor the eminently tranquil pleasures! Enjoy luxurious hotel comfort and amenities in a breathtaking waterfront setting. 130 years of history and elegant service has brought a level of tranquility and serenity to this superb retreat. Spacious and pet-friendly rooms, suites and villas with complimentary wireless Internet access, European pillow-top mattresses, mini fridges and kitchens. Fresh seasonal and local cuisine and an extensive wine list at the Fresh Salt Restaurant. 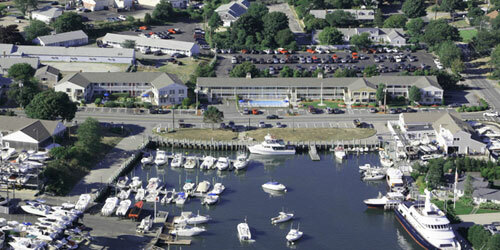 The Saybrook Point Marina with its dock and expert staff. Partake of lavish spa treatments, or dip into the indoor and outdoor pools, sun decks, therapeutic whirlpool, steam room, and sauna at the Health Club. Then simply relax with views of Connecticut’s south shore and the Long Island Sound not soon to be forgotten. Few waterfronts are lovelier or more naturally rich. 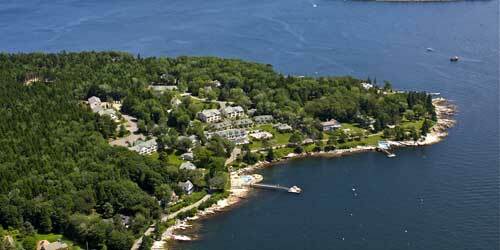 Sitting harborside on 8 landscaped acres on Bar Harbor you overlook Frenchman Bay and the Porcupine Islands. 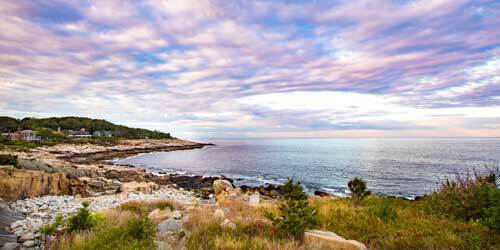 Explore the rocky Maine coast and Acadia National Park offering unmatched ocean views. Lodging at this historic and elegant Inn offers 153 superior rooms in the Main Inn, Oceanfront Lodge & Newport buildings that have all been renovated to provide guests with modern décor and amenities. The full-service oceanfront resort and luxury spa features a one-half-mile shorefront walking path and fine dining in the ocean-view Reading Room Restaurant and Terrace Grille. Enjoy the expanded continental breakfast, heated pool and Jacuzzi, and the great in-town location within easy walking distance to shops, galleries and waterfront activities. Spectacular sunrises and views of three of Boston's historic lighthouses. 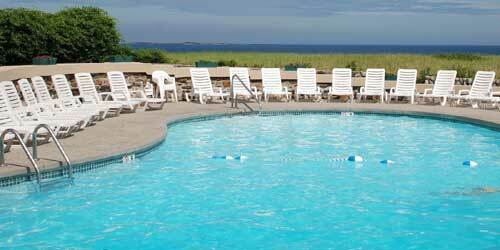 Situated on a 3-mile stretch of sandy white beach stands the Nantasket Beach Resort, tall, white and brilliant with a sense of New England charm felt from the moment you arrive. Close to Boston, Close to the Cape, Hull is your gateway to historic Plymouth, and to New England's popular tourist attractions and historic sites. Here you can stay and play just steps from the beach - with all the fun, sun, and activity. Enjoy spectacular sunrises and views of three of Boston's historic lighthouses. Full service amenities include Concierge service, our on-site restaurant, indoor pool, full fitness club, oceanfront conference center, and an array of excellent restaurants and attractions within walking distance, scattered among eclectic shops and boutiques. The heart of a Cape Cod vacation is the nearness to the ocean and Cape Cod Bay, along with the pleasures that implies: from feeling the ocean breeze during a quiet walk in the dunes to jet skiing or surfing or nature cruises. 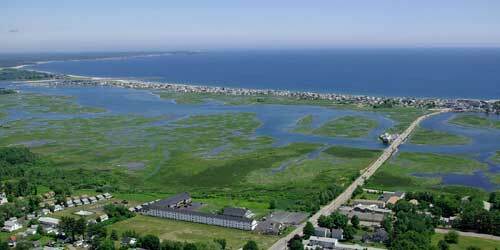 The Cove on the Waterfront, in centrally located Orleans and cheek-to-cheek with the Cape Cod National Seashore, places you near all this beauty. Rest well in rooms or suites that may include waterfront views, kitchenettes, flat screen TV with HBO and ESPN. Your day can be as active as you want it to be. Unwind with a good book on a sandy beach, lulled by the rhythm of the ocean or head out for golf, shopping and dining in Provincetown, or antique browsing along the King’s Highway. 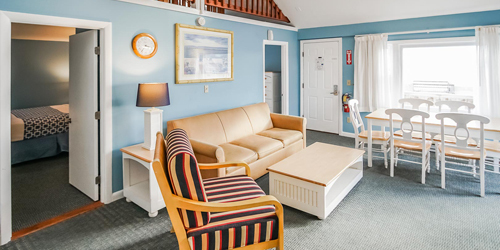 This newly furbished oceanside lodging is tucked away in its own cozy cove with every comfort and amenity for an enchanting waterfront getaway. Spacious guest rooms feature king or double queen beds, a refrigerator, microwave. DVD for in room entertainment, and a semi-private deck. Poolside, The Dory offers beverages, a light lunch & dinner menu and a laid back atmosphere. There’s a daily Happy Hour, live local music, plus ping pong, lawn games and retro ice cream bars for the kids. Enjoy complimentary beach chairs, beach towels, and parking permits for Kennebunk Beach. Hop on the seasonal KRC Dinner Trolley, rent kayaks & rowboats, and take a leisurely 15-min walk along Ocean Avenue to the center of fabulous Dock Square. 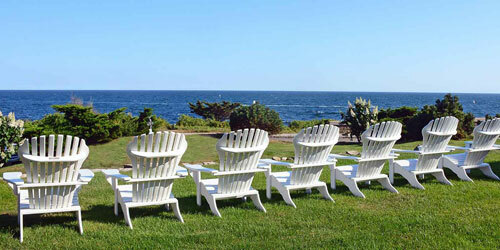 The simple pleasures of a shore side vacation include genuine New England hospitality plus spectacular ocean views. Newly remodeled suites, oceanfront and ocean side rooms include kitchen facilities, air conditioning, cable TV and wireless internet service throughout the property. You’re on Old Orchard Beach, called by USA Today a “must-see, no-cost destination” and one of the “40 Great Travel Bargains” by Reader’s Digest. Your daily companions are sun, sand and surf and you can always cool off in the pool, find a lounge chair or fire up a gas grill on the poolside patio. Every guest is guaranteed one beach parking spot per room and use of the facilities at the Waves Oceanfront Resort. You’re never more than a short walk away from great food, shopping, the pier and local amusements. Beautiful natural landscapes surround the Higgins Beach Inn, a few feet from unspoiled Higgins Beach and a short drive to sandy sites at three state parks: Crescent Beach, Ferry Beach and Two Lights. Water-centric activities include surfcasting, sailing, kayaking, swimming, shell-hunting – or just planting your umbrella and blanket and listening to the sound of the waves. 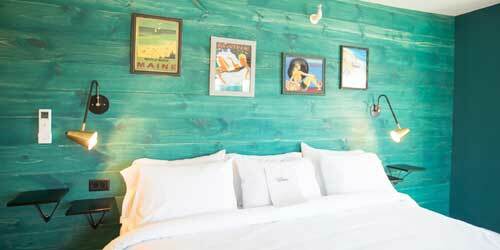 The rooms at this quintessential Maine oceanfront hotel, with its tradition of unparalleled hospitality, offer guests spectacular sunrises or sunsets, some from charming bay windows. Seaside views are also part of the Shade restaurant, which boasts a three-season porch and where fresh oysters on the half-shell and other locally sourced seafood dishes remind you you really are relaxing by the water. On the banks of Parker's River in South Yarmouth, this unique resort offers 44 studio, one-bedroom, and 2-bedroom units. All units are well-equipped with refrigerator, microwave, coffee maker, cable TV and wireless Internet access. Relax in the indoor pool or step up in the fitness center. Washers and dryers and a community kitchen are there for chores and chat. A game room with pool table, barbeque grills and picnic tables and an outdoor play area make it perfect for families and small groups. You’re centrally located in the heart of Cape Cod where shopping, restaurants, and historic attractions abound in the Cape's 15 distinctive towns. The finest beaches, golfing, biking, or kayaking are close at hand, as are an endless array of land and sea activities. Perched majestically on bluffs above the ocean, just steps from the seaside village of Watch Hill, the Ocean House has been attracting guests for a century and a half with its perfect location and impeccable service. 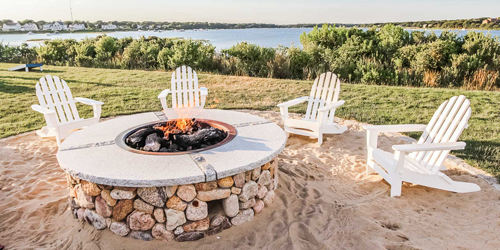 Among its world-class amenities: 13 acres of beautiful oceanfront landscaping overlooking a 650-foot private white-sand beach with views of Montauk, Block Island and the Atlantic (as well as beach-butler service). The ocean has inspired the décor of the inn’s 49 rooms and 18 suites, some of which feature covered porches or private gardens. The sea also inspires the locally sourced menu at Coast, an award-winning restaurant, and the atmosphere at OH! Spa. Water-based activities range from kayaking and sailing to fishing and surfing lessons. 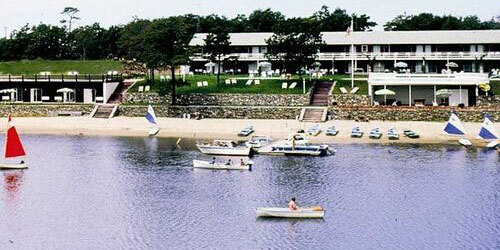 The sandy beach and clear waters of Lake Sebago are practically at the doorstep of guests at the Point Sebago resort, where 250,000 families have enjoyed vacations since 1970. From your park home, about 50 percent larger than a hotel room, complete with a kitchen, deck and outdoor campfire ring perfect for s’mores, you can experience all the charm of camping without having to camp! And, the lifeguard-protected beach is only a few minutes away. Or, if you want a multi-family experience, consider the luxurious seven-bedroom island lodge, surrounded by water on three sides. Either way, you can enjoy swimming, fishing (salmon, trout and bass), sunset cruises, kayaking or just plain relaxing– and dining – by the water. Our luxurious Historic Oceanfront Inn has been featured on the Travel Channel's, "Great Country Inns,” and features award-winning gourmet ocean-view dining plus the casual fireplace, Ship’s Cellar Pub. Many rooms have fireplaces, Jacuzzi spa tubs, decks and ocean vistas. The outdoor hot tub is open year round and we are just a walk to beach, convenient to golf, Kittery Outlet Shopping, whale watching, lobster boat tours, kayaking and area lighthouses. The perfect Maine Coast getaway is just over one hour north of Boston. We also offer conference facilities that enable you to get down-to-business in a relaxed atmosphere. We are open year round with special spring, fall and winter packages. Called one of the country’s “coolest small towns,” Belfast is a pretty place to see the best of what midcoast Maine has to offer, from funky shops and rocky shorelines to offshore islands and picturesque harbors. And you can literally see much of that from your room or suite at the Fireside Inn & Suites Ocean’s Edge, where every room has a view of lovely Penobscot Bay. Want to get more up close and personal with the water? Ask about the inn’s private cottages (one is just steps from the beach). Or, arrange for a racing yacht cruise, rent a sea kayak or see the shore from a helicopter! Back at the hotel, relax in an indoor pool, sauna or your comfy room. 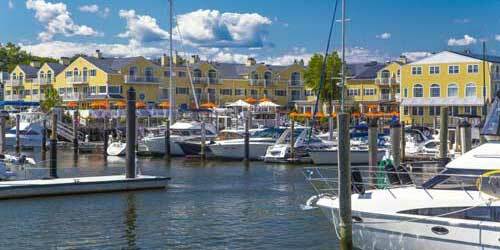 Camden and its scenic harbor is one of New England’s seaside gems. 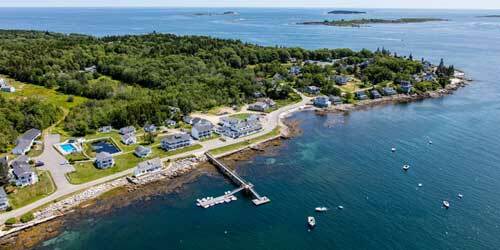 A prestigious AAA Four Diamond destination overlooking the marina and the Islands of Penobscot Bay, Camden’s only luxury boutique Inn is a haven for any planned or spontaneous escape. Interiors are inspired by Tuscan Villas. Exteriors, coastal cottage, shingle-style architecture that blends with the historic waterfront buildings. Enjoy luxurious comforts including suites and rooms with private balconies and magnificent views, gas fireplaces, Jacuzzi tubs and separate marble and glass enclosed rain showers. In room continental breakfast served each morning. Set on Bay View Landing amid unique shops, casual and fine dining, outdoor recreation and cultural activities. 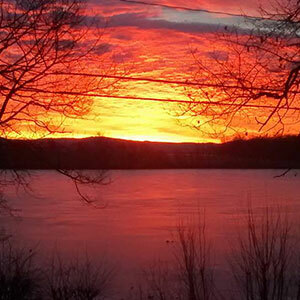 Plan a getaway at Interlaken Inn in Connecticut's Litchfield Hills, and you'll find charming and spacious accommodations beside shimmering Lake Wonoscopomuc. We offer hotel rooms with luxurious modern amenities, townhouse suites with cozy fireplaces, and even a lakeside cottage with a screened-in porch and a fire pit at water's edge. The Penthouse Suite, our most upscale accommodation, includes a rooftop hot tub and plenty of privacy -- perfect for honeymoons, romantic overnights or a girlfriend's getaway. Surrounding it all are 30 acres of English cottage-style gardens and manicured lawns. Dine at Morgan's, our restaurant, where you'll enjoy locally-grown, farm-to-table cuisine. And there's so much to do. We've got a heated pool, tennis courts, canoes and kayaks, and a spa, all for your enjoyment.